Are you in need of DUI defense? 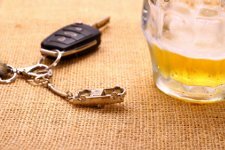 If you have been arrested in South Carolina under the suspicion of DUI (Driving Under the Influence) it is imperative that you seek the advice of an experienced DUI defense attorney immediately. A DUI conviction can result in hefty fines, suspension of your driver’s license, community service hours, even jail time. In addition, depending on your blood alcohol concentration level and the number of prior DUI convictions you have on your record, you may be facing felony charges and/or mandatory incarceration. You need an experienced DUI defense attorney to represent you in your case. Perry DeLoach is an experienced South Carolina criminal defense attorney who is ready to fight for you. Many times these cases can be negotiated to a result that the client is happy with, however, if it is necessary, Perry will investigate every aspect of your case, explore every legal option available, and prepare to advocate for your rights at trial. The Law Offices of Perry B. DeLoach, Jr., LLC can advise you of your rights, explore your options, and help you craft a strong defense strategy. Contact our office today at 864-520-1101 for a free consultation on how we can defend your DUI charge. DUI charges involve drivers in South Carolina who operate vehicles after drinking alcohol and whose blood alcohol concentration (“BAC”) levels are .08 or higher. A DUI can be a misdemeanor or a felony charge. Obviously, this controls the maximum possible penalty. Many people believe that first time DUI offenders will not face jail time. This is not the case. Depending on the circumstances involved and the driver’s BAC, jail time is a real possibility. Second, Third and Fourth time offenders, not only face the possibility of jail time, they face the possibility of mandatory incarceration. DUI statutes for subsequent DUI offenders provide these mandatory incarceration requirements, making more difficult for the defense attorney to negotiate a sentence that keeps his or her client out of jail. While it is more difficult, it certainly can, and often is, accomplished. Some states refer to DUI charges as operating while under the influence (“OWI”) and driving while intoxicated (“DWI”). This is simply different terminology. While laws in other states may have different requirement, and/or different names, OWI, DWI and DUI are essentially the same criminal charges. Good people make mistakes every day. Contact us today and let us help. While the South Carolina DUI laws appear strict, prosecutors and judges do have discretion when fashioning a plea offer or sentence. In addition, there is a host of legal defenses and other legal strategies that an experienced DUI defense lawyer can use to bargain with the prosecutor or, if necessary, defend your case at trial. There may also be mitigating factors that can be argued in your favor before the judge at sentencing should you be convicted. Many times, defendants attempt to represent themselves. Regardless of whether you hire us or not, please do not do this. Please hire a lawyer. DUI cases can become extremely complex and require the expertise and training of an experienced lawyer. Please trust your case and your future to a knowledgeable and accomplished DUI defense lawyer, regardless of who you decide to hire. If you have been arrested for DUI, don’t wait a second longer. Contact The Law Offices of Perry B. DeLoach, Jr., LLC today for a free consultation on your DUI case. Our Firm serves Greenville, Anderson, Pickens, and Spartanburg counties; as well as the entire Upstate, Midlands and Low Country of South Carolina. Call us today at (864)-520-1101 to discuss your case.